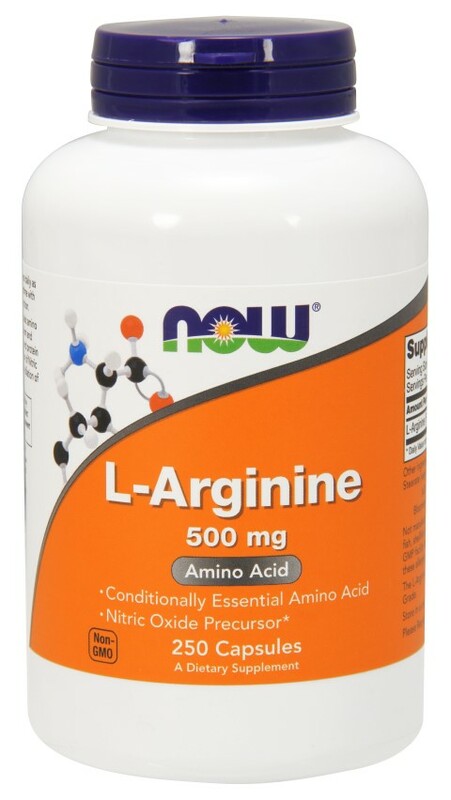 Product Description: L-Arginine is a conditionally essential basic amino acid involved primarily in urea metabolism and excretion, as well as DNA synthesis. * Conditionally Essential Amino Acid Premium Grade. Ingredients: Gelatin (capsule), Magnesium Stearate (vegetable source) and Silica. Contains no: sugar, salt, starch, yeast, wheat, gluten, corn, soy, milk, egg, shellfish or preservatives. Warning: This supplement should be avoided by persons with glaucoma or herpes simplex unless otherwise prescribed by a physician. Do not use if you have had a myocardial infarction or have established coronary artery disease. Store in a cool, dry place. Please Recycle.